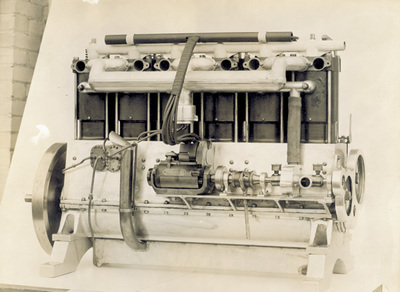 Right side view of a six-cylinder vertical Wright engine. Known as the Wright 6-60, this was the last engine produced by the original Wright Company. The engine was rated at 60 h.p. and was used on Wright aeroplanes after 1913.